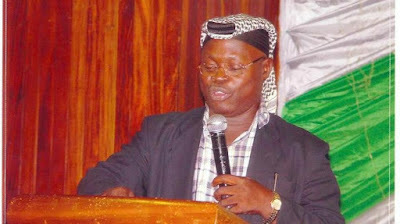 The president of the Christian Association of Nigeria (CAN), Rev (Dr.) Samson Ayokunle has written the National Assembly (NASS) demanding the position of senate president or speaker of the House of Representatives. The request was contained in a letter signed on the CAN president’s behalf by his special assistant, Pastor Adebayo Oladeji. However, the Muslim Rights Concern (MURIC) has accused CAN of setting a bad precedent. The human rights organization stated this in a press statement signed by its Founder and Director, Professor Ishaq Akintola on Tuesday, 2nd April, 2019. According to MURIC, “CAN is setting a very bad precedent. CAN is simply manifesting symptoms of acrobatic religiousity. Nigeria will not move forward until merit becomes the determining perimeter. Sensitive positions in the NASS should be given to those who deserve it based on experience, competence, antecedence and loyalty to the party. “Our consolation is that not all Christians share the same thinking with CAN leaders. There are many objective Christians who wish Nigeria well. We therefore appeal to CAN leaders to join hands with those objective Christians and Muslim leaders in the quest for peaceful coexistence and better living conditions for the Nigerian people.